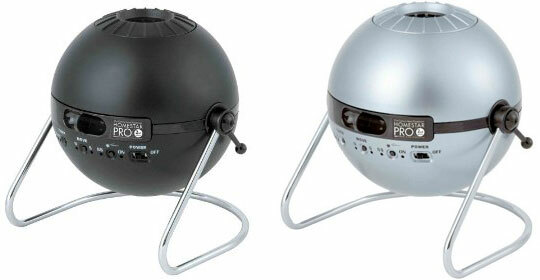 The Homestar Pro 2nd Edition home planetarium, first developed in collaboration with Takayuki Ohira, creator of the famous Megastar planetarium, this is the ultimate designer home accessory for painting your rooms with the projected universe. 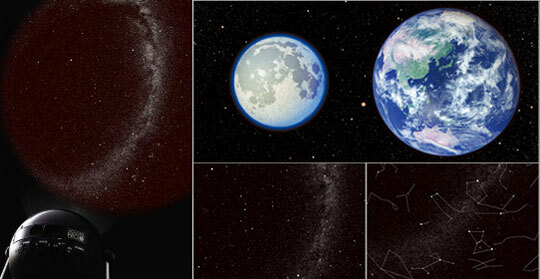 Designed by artist Kagaya, the Star Discs are packed with 60,000 stars and constellations on two monochrome discs, and the extra alternating Blue Earth + Moon & Stars disc adds amazing color to the projection. Projecting from an ideal distance of 2~2.5 meters, you can create a rotating universe on your wall or ceiling up to 270cm in diameter! Add in the randomly-timed shooting star function for some extra motion, and you'll make any dark/dim room look more stylish and relaxing.